Cary is a large town in Wake County, adjacent to Raleigh. It’s a town of classy living, with elegant homes, family-friendly neighborhoods, and safe, quiet cul-de-sacs, with just the right amount of classic Southern charm. 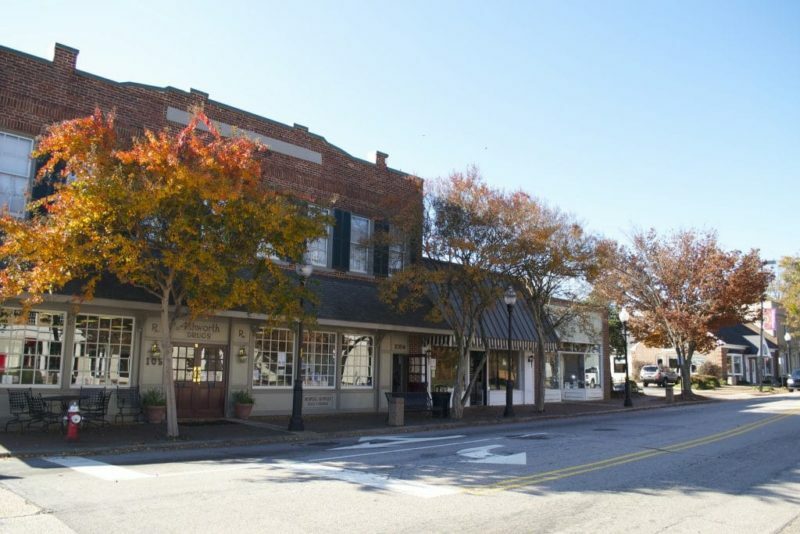 Only 30 years ago, Cary was a small, unassuming Southern town with a population of 21,000. The growth of the Research Triangle Park, accompanied by the influx of newcomers exploded the population today to 166,000. And the population expansion is not ordinary growth. Two thirds of the adult citizenry hold college degrees, and overall, the town has one of the highest household income levels in North Carolina. Find your Cary home, checkout Neighborhoods. Western Wake county, is know for it’s great schools, the majority of schools in the town scoring 8-10 on GreatSchools.org. To search by a specific school in the town click HERE. There are numerous movie theaters in the town as well as bars and clubs close to downtown. Out of the mainstream is the newly renovated and re-opened Cary Theater. Also in the town is the Koka Booth Amphitheater (Video), summer home to the North Carolina Symphony and venue for rock, pop and country concerts. There are numerous parks in the town, including Bond Park and Hemlock Bluffs Nature Preserve. There are also several miles of Greenways in the town. WakeMed Soccer Park home to pro soccer team North Carolina FC is in the town as is the National Training Center for USA Baseball and Cary Tennis Park. The town has great transport links with I-40 and I-540 in the town giving access to local cities and the mountains and coast beyond. Research Triangle Park is a short commute from most of the town as is downtown Raleigh. Finding a home in the Triangle area can be a daunting proposition! What are the benefits of Chapel Hill over either Raleigh or Durham? How long is it going to take me to get from Holly Springs to either RTP or downtown Raleigh? What will I pay for a 3 bed, 2 1/2 bath home in Morrisville? Where do I find waterfront homes in the area? These are the type of questions we are asked on a regular basis. For honest, straight forward answers to these and other questions about Triangle Real Estate and the greater Triangle area in general please do not hesitate to contact Kevin, 919 349 0096, lingark@hpw.com. The Kevin Lingard Team are a group of full time, professional, real estate agents. As a result they are committed to helping you find your perfect home in Chapel Hill, Apex, Morrisville, Raleigh or any of the other great Triangle communities. Their aim is to make your move as smooth and worry free as possible.